. إن الخدمات التي يقدمها Hotel Mercure Kooindah Waters Central Coast تضمن للنزلاء إقامة مريحة. لضمان راحة ضيوفه، يقدم الفندق الخدمات التالية: خدمة الغرف على مدار الساعة, مرافق مخصصة لذوي الاحتياجات الخاصة, واي فاي في المناطق العامة, صف السيارات, خدمة الغرف . لقد جهزت هذه الإقامة الفندقية بعناية فائقة لتوفر مستوى عالي من الراحة. في بعض الغرف يجد النزيل تلفزيون بشاشة مسطحة, غرف لغير المدخنين, مكيف هواء, تدفئة, خدمة الإيقاظ. صممت خدمات الاستجمام في الفندق والتي تتضمن مركز للياقة البدنية, ساونا, ملعب جولف (ضمن العقار), حمام سباحة خارجي, حمام سباحة داخلي لمساعدتك على الاسترخاء والراحة. 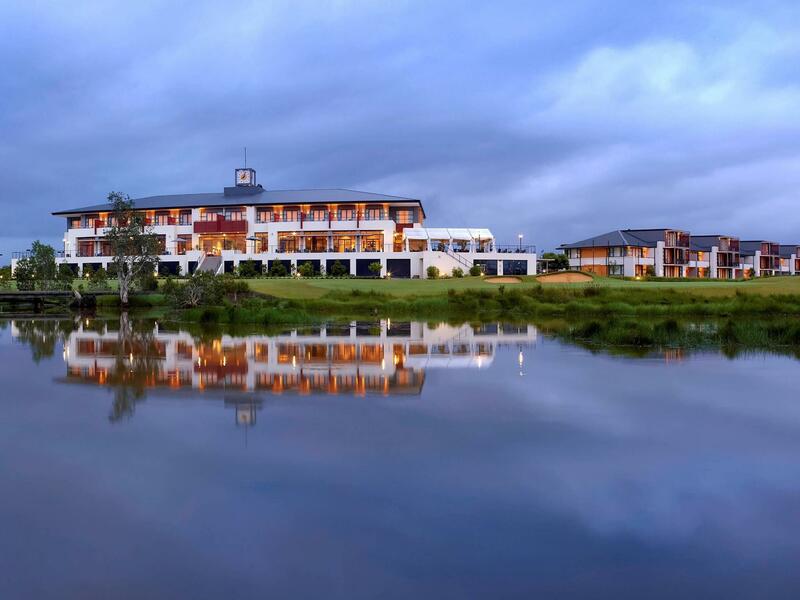 يشكل Hotel Mercure Kooindah Waters Central Coast بخدماته الراقية وموقعه الممتاز، قاعدة مثالية للاستمتاع بإقامتك في سنترال كوست. If you don’t drink or play golf, you have no business there. There are a lot of golf courses out there. Not everyone plays golf. Rooms quite nice and modern, however a little run down. Mould in the grout in shower and a/c didn’t operate properly. Bar staff terrible, no sense of urgency and often too busy chatting with colleagues to serve customers. Poor general maintenance of rooms with many blown light globes especially in stair well. Cleanliness needs to be lifted. Kitchen floor very sticky . Breakfast was poor as it took a long time for staff to refill empty juice containers and food dishes. Would be amazing if the little things were fixed up. We travelled from Sydney to play a round of golf at Kooindah waters. Staff member at Reception was great and very accommodating. Our room was very spacious and comfortable. Facilities were good. We enjoyed our round of golf. 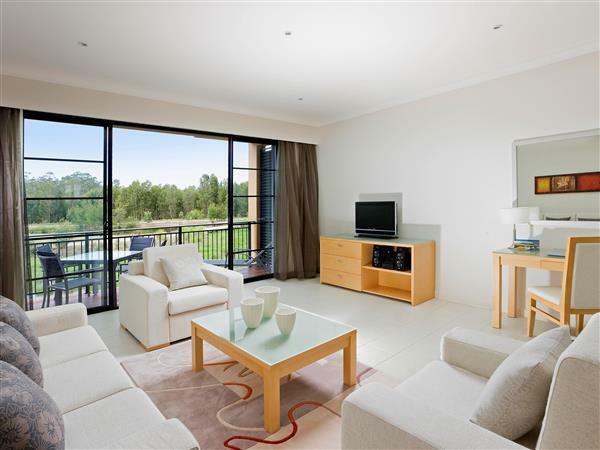 Quiet and clean resort for weekend away from Sydney. But bedroom alarm rang twice at midnight. Not very happy. small play equipment for kids, bath is very small and balcony even smaller. everything else was great, free parking, spacious room. Great and friendly service by the team. Would be better if rooms had a spa. Aircon controller broken which cannot be fixed caused coldest air all the time which makes very loud fan noise at night as it spins at the highest speed and needs to be turned off (Was a very hot day). The aircon outdoor unit next door was horribly noisy couldn't sleep thru all night. Food and drinks in the bar area good value and of good quality with a great selection of beers on tap. Friendly bar and wait staff. Apartment was spacious enough. Quiet Location. Not too far of a distance to attractions near by. Good resturant, Good rooms & bathrooms. Good views across the golf course. The rooms and layout of the resort were really good. We felt the menu & food options were very average considering the budget to stay there. The golf course was fantastic and pro shop staff very good. The hospitality staff in the bar / restaurants were rather poor in standard of service and lack of knowledge of basic mixed drinks. 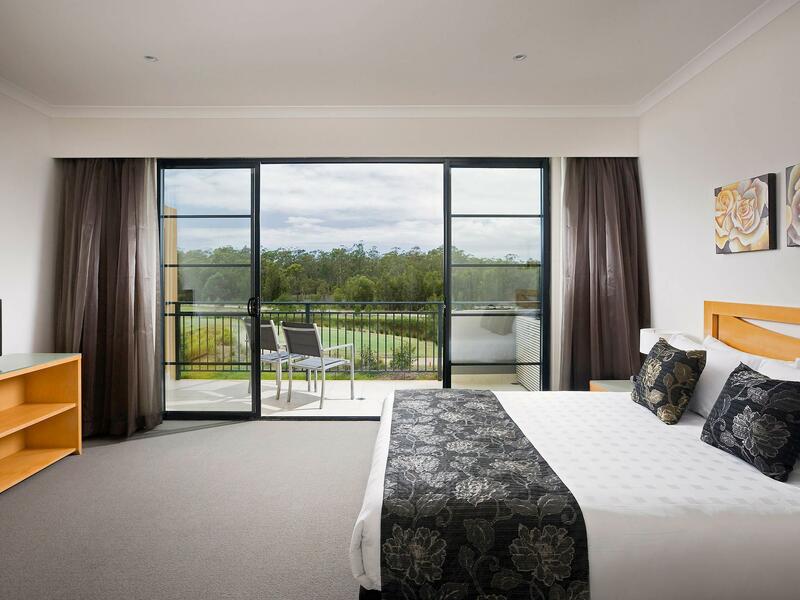 Golf course, clean room & parking.. 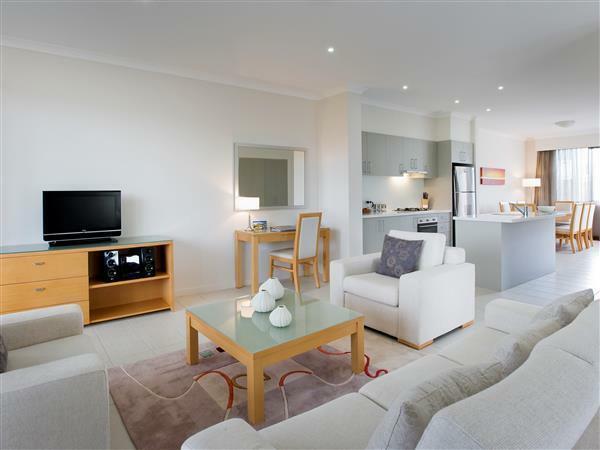 It wasnt too bad, but considering there are much bigger, with more in room facilities places at Terrigal much cheaper, & pretty much on the beach, i think id prefer Terrigal. TV didn't work so a very helpful Maureen arranged a new room which was an upgrade with a balcony and golf views. We also had complimentary fruit platter and champagne delivered to our room.Very impressed with all friendly and helpful staff Only issue was the lack of shade and seating around pool area as we were travelling with our 3 month old grandson which limited the time we could spend there.